Iran will "annihilate" Tel Aviv and Haifa if it comes under attack by the Jewish state, warned supreme leader Ayatollah Ali Khamenei. Iran will "annihilate" the Israeli cities of Tel Aviv and Haifa if it comes under attack by the Jewish state, "supreme leader" Ayatollah Ali Khamenei warned on Thursday. 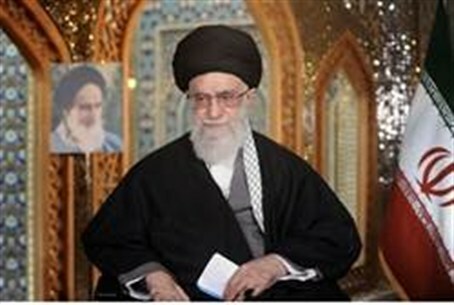 "Every now and then the leaders of the Zionist regime threaten Iran with a military attack," Khamenei said in a live televised speech from the northeastern city of Mashhad, referring to Israel. "They should know that if they commit such a blunder, the Islamic republic will annihilate Tel Aviv and Haifa," he said, according to the AFP news agency. On Wednesday, Khamenei urged the Iranian people to stand up to mounting Western sanctions as the country marked the beginning of the Persian New Year. If Iranians show more "readiness" to face Western pressure, the next 12 months will be a "political and economic epoch" for the country, Khamenei said in a recorded message on state television, according to AFP. The year will be filled with "development, activity and dexterity," he vowed in the message aired shortly after Iranians celebrated the Persian New Year, or Nowruz, marking the transition of winter to spring. He warned, however, that "it does not mean that the enmity of enemies will subside," alluding to Western opposition to Iran's nuclear program and harsh sanctions against the economy of the Islamic republic. The ailing economy, which has long struggled with high inflation and unemployment, was further buffeted in 2012 by increasingly severe US and EU sanctions targeting its vital oil and financial sectors. However, Khamenei claimed that such hindrances had enabled Iran to gain "dexterity" in battling the sanctions, maintaining the regime was making progress despite such woes.